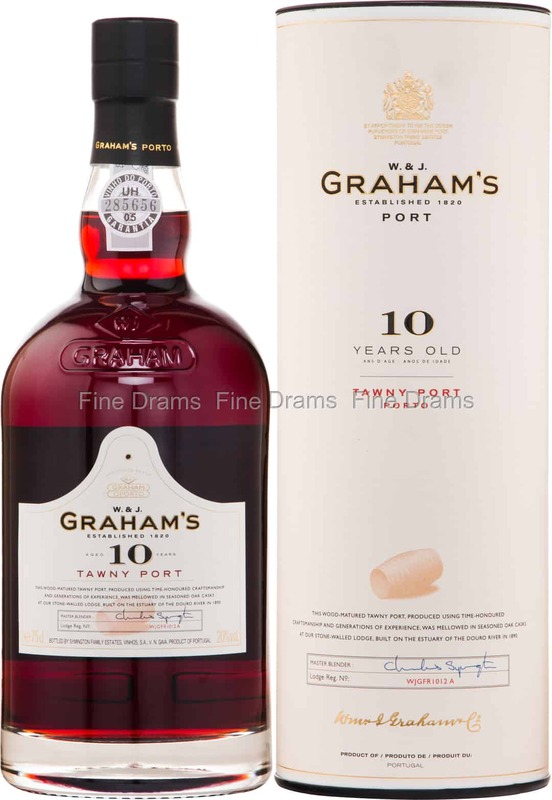 A sumptuous 10 year old Tawny Port from W. & J. Graham’s, one of the oldest and most respected names in the business. Graham’s have been making port for nearly two centuries, so they know a thing or two about producing a high quality fortified wine. Made with the highest quality of Portuguese old vine grapes, primarily sourced from five of the best quintas in the Douro valley (quinta is the classification through which the quality of the terroir is assessed): Quinta dos Malvedos, Quinta do Tua, Quinta das Lages and Quinta da Vila Velha and Quinta do Vale de Malhadas. The final two Quintas are owned by members of the Symington family, who own Graham’s. At this age, the wine is at a fine balance between the sophistication of long-aged port, and the sweetness of the wine itself. The port offers rich mature fruit flavours of plums, cherries, and strawberries, alongside a little mellowed honey sweetness from the 20 years of maturation in oak casks. The Port is bottled at 20% ABV, with an acidity of 4.5 g/l tartaric acid and a Baumé scale rating of: 3.8. A beautiful Port from a world-class producer, perfect for pairing with a cheeseboard or a good fruity dessert.